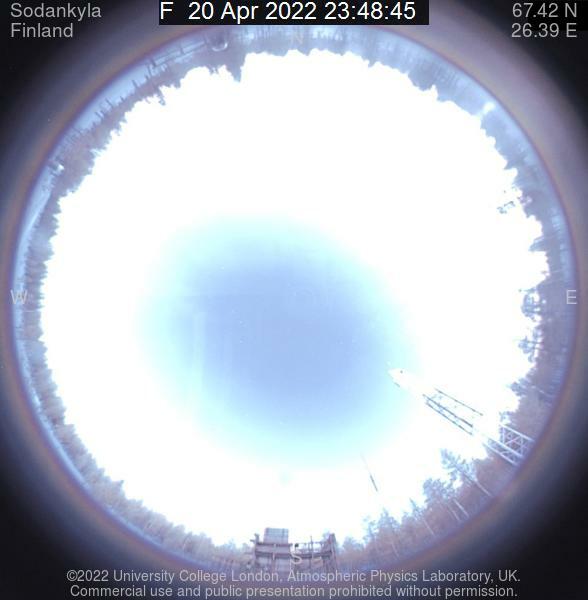 Since February 2016, Sodankylä Geophysical Observatory provides the operational platform and support for a joint long-term time-lapse project in collaboration with Site-Eye Ltd., UK. 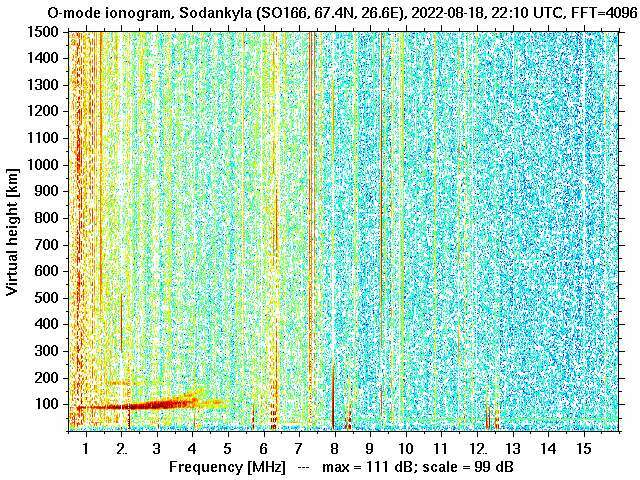 Two cameras have been installed in Sodankylä, which both take a photo every minute. One of the camera looks at the sky, the other looks at the river Kitinen flowing past the Tähtelä site of SGO. The cameras will be recording 4K time-lapse footage for the next 12 months, with monthly highlights published on-line. 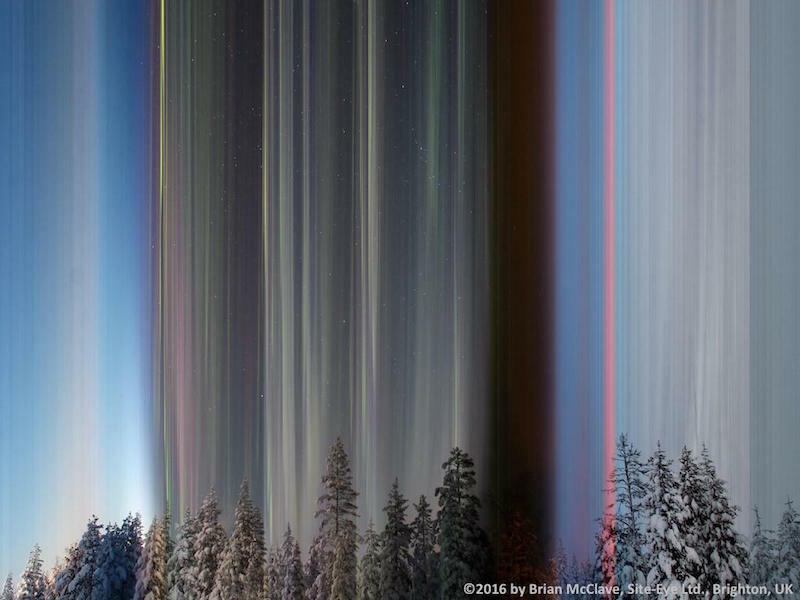 Above's a taste of what's to come, the time-lapse film of the sky in March 2016. The so-called Slow Scan Photograph by Brian McClave of Site-Eye, summarises one night of beautiful aurora above Sodankylä. The image was taken over a period of 24 hours, at a rate of one image per minute. The Slow Scan Photograph is then composed by vertical slices of the original 1440 images. In this composite image, time progresses from left to right. The green aurora is clearly visible, mixed with some grey clouds, and there's a fantastic red dawn in the early morning. Text: Thomas Ulich; images and film: Site-Eye Ltd.